A few weeks ago I ran an offer where I would give 5 free tips on anyone’s blog’s design. The offer went down very well, and I’d like to share some of what I have learnt so far. Every design is unique of course, however, there are some small flaws that I found to be common across quite a number of blogs. Take care with your logo. A fast-loading blog is important, but not everything is worth forsaking for its sake. In particular, a lot of bloggers have compressed their banner images to a point where pixelation around the letters is noticeable. Your logo is too important for this. Remove the "Delivered by FeedBurner" text. FeedBurner offer a great RSS to Email service, but the text link that they add into the copy & paste code should be deleted. It’s completely legal, and they get enough advertising in your chicklet, URL and email pop-up window. Experiment with different colors. I’m a little sick of seeing black&white, blue&white and recognizably theme-default colors. Experiment more! There are a lot of color tools online that can help you out here. Customize your comments. Comments seem to be fairly unappreciated. They certainly aren’t a crucial element of your design, and something simple will do. However, far too many blogs have comment forms that were clearly taken from the WordPress default theme. That little lapse of effort is a real shame. Don’t have a boring sidebar. You wouldn’t have a wall of text for a post, so why allow it in your sidebar? Be sure to break up your sidebar with images and ample padding. The sheer number of text links on some blogs is incredible. Those are some of the most common pointers that I’ve given out. What other little annoyances do you find to be common amongst blogs? Comments discussion on "5 Mistakes I’ve Found in A Lot of Blogs"
I’ve done all 4 except #3. Problem is,when you spend time on theme, the time for writing decreases, which is worse than having a normal theme. People care about writings more than the desing(unless you have very poor design). As for #1, I’ve got the CSS ready for feedcount plugin. For #2, I dont use the form, just the link! For #4, I’ve added border colour change to the comment field on :hover and :focus. Some more great tips, as I wasn’t aware of the feedburner text link and will check it. Thanks for taking the time doing all of this, I’m sure you are busy with the reviews still, but I wanted to say thank you again for my review. Err.. I don’t have a logo.. I should re-optimise my blog headers, as I think I can make my logo appear more sharp. My comment form is cool, my logo is sharp, my rss button is unique, no boring sidebar, I don’t use email thing (maybe I should). But I got all 4 that are applicable! Yay! By the way, what is it about your blog that makes me comment on almost every post. Amazing. Good tips there Michael. #5 may apply to me. I don’t have a mix of images and text, but at the same time, to me, it doesn’t look to all to boring. Maybe someone else may see it differently. David – I think you could as well. The image is only 10kb at the minute, so at most, I doubt sharpening would take it beyond 15-20, which is still great! Yeah, even though it’s not really heavy right now, I’m getting the itch to redo it and make it even more minimalistic. I have to ignore this itch for the time being as I have other more important sites to design and develop, but maybe here soon I’ll get around to a redesign. So Michael, are you going to change the “Leave a Reply” and “Submit Comment” any time zoon? Another thing Michael, instead of the word “LOGO” – how about using the word “HEADER” or “HEADER IMAGE” or something. Not everyone has logo BUT a good header works just as well. Guilty of #5, but new design coming in a few months. Great point on #1… really, you’re worth it. Big color trend right now: green is the new blue, for the first time ever. I do like it myself. I’m somewhat conscious of #1. I don’t know if anyone else can see it, but I can see that the text is a bit fuzzier than the tree. (Now everyone is going to be able to see it!) It’s because I had to import the image of the text from GIMP to Inkscape because Inkscape wasn’t using the font properly. :( Maybe if I go Inkscape to GIMP it will be more even. Sumesh, I don’t want to come across as rude, but with no direct method of contact on your blog this seemed as good a place as any – please take a look at these two screenshots 1, 2. They were taken on my mac in Camino and Firefox. You’re right that writing is important, but when the elements of a blog appear to be unintentionally in the wrong places (mainly the header in this case) I usually don’t bother to read the text. I think I’ve implemented them all but 3 – I love my white, light blue, teal, and orange! I know it’s just a slightly customized free theme but I do adore it. Nice tips buddy.I havent had much luck with logo as i am not a good designer but i will give it a go . Good point about having a good logo. I might add that many sites use a logo but make it part of the header graphic. Make a smaller version and make that accessible so that when people want to reference your site, they have a usable logo ready. No logo here either, but these are really good tips. Thanks for sharing Michael. This is the website i have been looking for. Im Grant, 15 from scotland. I enjoy designing websites and learning new things. Im currently learning to design good site aswell as PHP to develop them. Im glad i found this site. But yes, you’re right about the headers. I was using the words interchangeably up there; I should have taken more care with that. 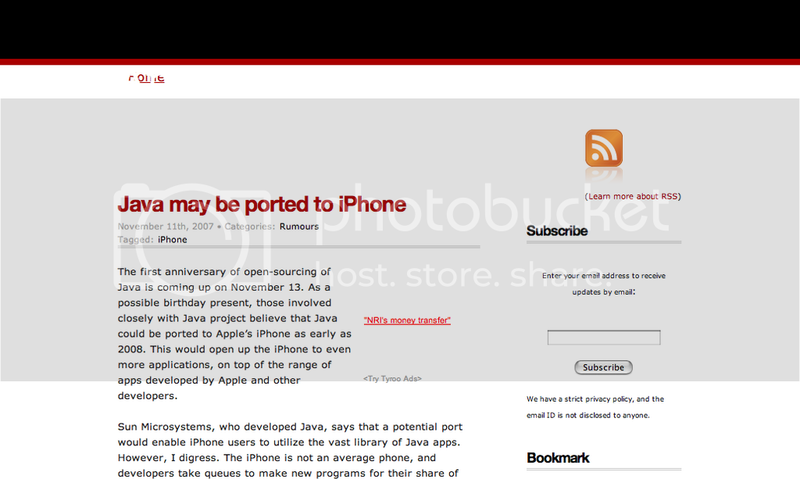 I’ve also seen some blogs using horrible typography in the main content area. Comic Sans as your main font? Come on! Agreed Mohsin. A bad font can make the whole blog a pain to read. Gotta love a good checklist! Michael, I just wanted to say thanks again (in a public way, in case anyone was in any doubt about the total fabulousness of your 5 Tips offer and fine self, coff coff) — so great to have the benefit of the designer’s insightful eye! Chuck – Logos are always difficult. The pointers are very useful. Thanks a lot! And you’re probably right about changing the […] hide link into some type of icon to indicate a drop down. I had tried + and – and this seemed like an improvement, but thanks for giving me an idea to go a step further. Oh, and the indented category list is actually an out of the box WordPress feature. I hesitate to mention that because people tell me mine is unique … but I just went through each category and assigned parents as necessary. It turns out that’s great for usability, in that people can click a parent category and see posts that aren’t filed directly under it, but in one of its children. I guess that could be a good thing or a bad thing, but at least the way I’ve got mine set up it’s helpful. As for the categories, the functionality is definitely there by default, but very few people make use of it. And even fewer actually display that indentation visually. Great post, I would add #6 as having a custom design to make your site memorable and have a higher perceived value of information. time for writing decreases, which is worse than having a normal theme. I’m planning on having a nice corporate logo but I am having trouble deciding on which logo design site to choose. There are so many of these online design services on the web. I’ve checked most of the sites and their portfolios are good (LogoDesignCreation.com, LogoWorks and the likes) I’m hoping to hear some feedbacks; maybe some of you have certain experience in dealing with this kind of service. lol – True. The design of a design blog will never be good enough. The bar gets raised up every single day. I’m no expert on logo design, but I can definitely give some advice. If you know exactly what you want (e.g. The exact icon design you’re after), then LogoDesignCreation looks great (They’re cheap, and have a nice portfolio. If you explain very clearly what you’re after, then you’ll get it), but if you aren’t sure exactly what you’d like, LogoWorks would be better, but much more expensive ($300 at the cheapest). If you’re willing to spend big money like that though, you should check out David Airey as well. He’s a friend of mine, so I may be a little biased, but he does make great logos. Thanks Michael for your advice. I decided to follow your suggestion and I went with LogoDesignCreation. I was beyond amazed and happy how they manage to provide me with exactly what I wanted. The logo designs are very iconic and fresh. Wonderfully fast (got my initial concepts the following day) and yes, perfectly priced. ;) I would use their design services again when the need arises. Thanks again. Highly recommended to those who needs a logo design on a tight budget. I’ve found the colour lovers site to be a great resource for colour schemes. I found your site through searching for blogging tips. I’m a newbie on this in fact I just started today, and have decided to use wordpress. Following your first advice I’ve tried taking care of the logo part, although it’s not yet permanent. Michael, I would just like to ask how important the site description is and what specific theme could you recommend for a newbie like me? I found this great theme but I’m still trying to figure out how to make it work for me. Although my friend said that choosing a theme is also a critical part, since some themes are not search engine optimized. I’m not quite sure what that means just yet but well, anyway, great site and great articles. More power to you! Yeah your right. It is important to make sure that the site loads fast in any browser so it is also wise if it is tested to many browsers that most people use. Thank for the tip. I thing I will start with first and follow the rest. Thanks for the thoughts you share through this blog. In addition, lots of young women exactly who become pregnant never even aim to get health insurance coverage because they worry they would not qualify. Although many states at this point require that insurers provide coverage irrespective of the pre-existing conditions. Rates on these kind of guaranteed options are usually larger, but when with the high cost of medical treatment it may be the safer route to take to protect one’s financial potential. Those tricks in addition acted to be the great way to recognize that other people online have a similar zeal much like my personal own to know the truth much more on the topic of this condition. Good points! These are very common mistakes yet taken for granted by a lot of blog owners. I like the abstract of this blog so you are really applying your learning.